I just knew @That One Guy's stanning for Monster Trucks would pay off someday. Lee is executive producing with his longtime editor Barry Alexander Brown directing from his own screenplay. @CJohn Even without Cristina (Cláudio Ramos was hosting her show) and Goucha on his own, SIC beat TVI by 4% share on Monday. As a minority I hate people who are so swept in such toxic identity politics. thursday. there's usually a couple late announcements after that too. This guy has probably never opened a(n) (history) book. 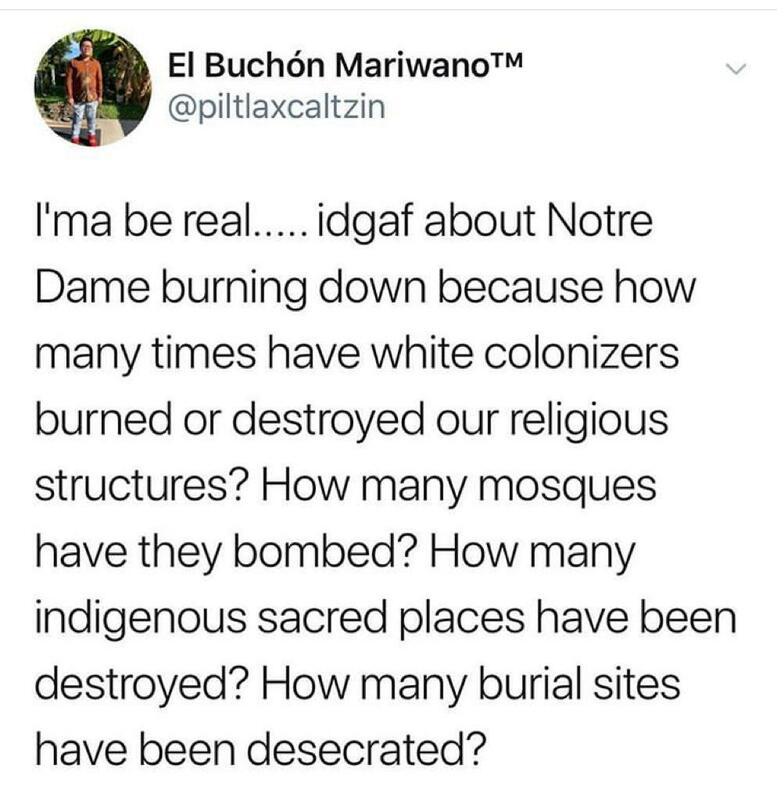 using this logic i should not care about what happened in NZ because Muslim invaders attacked my people 300 years ago and destroyed our holiest places. I finally got a job! It is starling low with a chance for advancement and a 15-20 minute drive from my house. No heavy lifting. Life is good at our house! Congrats. Wish I could be there. And you're at least a year younger than I thought. i like to keep people guessing. my posts have the bitterness or a 50 yr old and the try-hardness of a 14 yr old. i'm tough to pin down. Can’t wait for your thoughts on Dark Phoenix live from Cannes.